There are close to about 490 million people who speak fluent Hindi in the world today. And being the fourth most spoken language in the world happens to have many a common phrase as Arabic. And that’s why its absolutely no coincidence Arabic is the fifth most spoken language in the world with almost 255 million speakers all around the globe. In order for you to learn how to speak perfect Arabic, you’ll have to start with the basics. And that’s why getting a beginner book on learning Hindi is the right place for you to start. Thankfully, there are quite a number of realizable titles that you can start with. Some of these incredibly written books include Say It In Hindi by Veena Talwar Oldenburg, Learn Hindi by Pratibha Khare, and Elementary Hindi by Sudha Joshi and Richard Delacy. Once you’ve gotten your hands on any of these titles (or all of them if you may), your next order of business would be learning all about the nouns, phrases, sentences, nouns and so on. Make your learning as deep as possible so that when you start learning Arabic, things will be a tad easier. Also, getting these books is very important irrespective of whether you speak fluent Hindi already or are just starting out. Bear in mind that you can either do this yourself or even better, seek help from a professional. Once everything is done and your language is perfect, your next order of business would be making the shift to Arabic. Remember to take as much time as you need before making a transition because there won’t be any exam taken after that. That means you’ve got absolutely nothing to worry about. When making the switch to Arabic, you can also decide to do it on your own though I would highly recommend hiring a teacher in a bid to make everything easier. And just like you did with Hindi, you can start off by purchasing (or borrowing) Arabic books for beginners. Some of these books will include the following: Read and Speak Arabic For Beginners by Jane Wightwick, The Complete Idiot’s Guide To Arabic by K.F. Habel, And Arabic For Dummies by Amine Bouchentouf, or any other highly acclaimed introductory textbook for Arabic that comes highly recommended. There are many more titles that you can find besides the ones mentioned above. Make good use of the internet and you won’t be disappointed. And speaking of the internet, you don’t really have to get those books in hard copy because they can be quite expensive. Therefore, the most viable option is getting your hands on the soft copies on reliable platforms such as Amazon. Other online platforms where you can get your hands on these incredibly written books include Barnes, Closeouts, Borders, and Noble just to mention a few. Another very effective way of learning Hindi to Arabic is through speaking. A good way of doing this is by traveling to any Arabic speaking country and trying to communicate in the language. For instance, you can go to a restaurant and attempt ordering your favorite cuisine in Arabic. Doing so might be quite difficult at first, but with time, it will get easier since the people you are speaking with are highly likely to help you get the elocution right. The best thing about learning any language is by learning how to speak. Once you’re fairly good at this, your next order of business would be to learn how to write. And since you’d have already mastered the talking, the writing will definitely not give you a hard time at all. 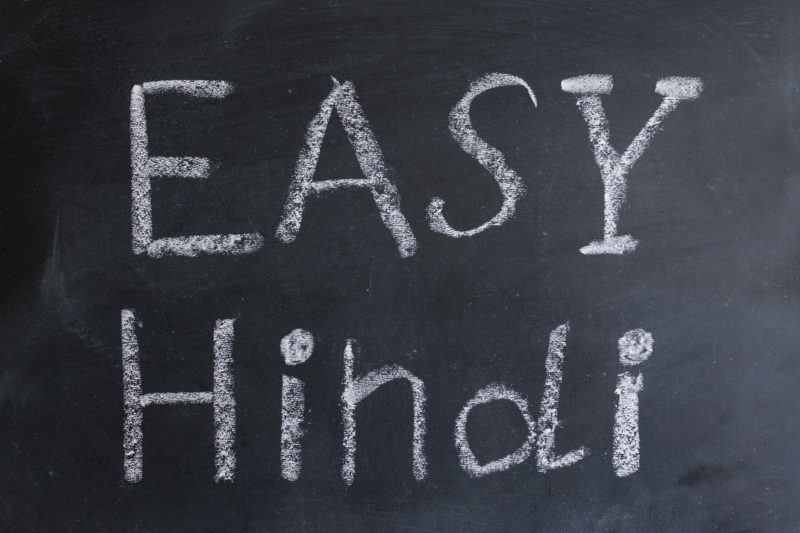 In order to you to hack how to learn Hindi to Arabic, you will be required to be dedicated. This means you will have no other choice but to set aside a couple of hours every day for practice. Feel free to choose that time of the day when you aren’t busy with work or any other responsibilities that come with adulthood. Thankfully, only 2 hours a day is enough especially when it comes to learning new words, accent as well as constructing sentences. And that’s why you’ll be required to work as hard as humanly possible to ensure that you are learning just more than a few words a day. And then the following day, try going over the same words, checking whether you got the pronunciation as well as the meanings right. If you do this right, then you will notice a huge difference in just under a month. Remember, it all depends on how dedicated you are at this. If you don’t have a teacher, don’t worry because there are a lot of things you can do in a bid to get this one right. One of these ways is by use of Skype. The good thing about Skype is that it allows you to not only practice the little Arabic that you learned from Hindi but also helps hear (and therefore learn) brand new Arabic words. Apart from learning new words, you can easily learn how to pronounce them. It is important for you to learn how to record all the skype sessions that you have with your Arabic friend/coach. Doing so is important as it will allow you to go back and pick up all the new words as well as the mistakes that need correcting. And the good thing about this is all you need is a strong and reliable internet connection and you’ll be good to go. Just like it’s the case with either learning of switching from one language to the other, it is very important that you continue being dedicated. And just like the dictum says, practice makes perfect, so it’s very important for you to keep up with the practicing and you’ll end up doing just fine. Also, remember to ask for assistance especially from Arabic speakers. Doing so will go a long way in helping you understand the language even better. You shouldn’t also be afraid to make mistakes since these mistakes are what will make you a better speaker. Last but not least, learning a language takes time. That said, always learn to be patient and everything will eventually work in your favor.